For months, we’ve heard the common lament “Sure, this place is	great for the kids. But, what do you have for adults? ?” Well, we	listened. Beginning this Summer, we will be offering	adult fitness classes to help make this your best swimsuit season ever (did we mention our amazing	Pool Plaza?). Are you looking to get into great shape, meet some new people and have	fun while doing it? 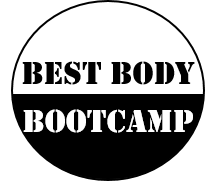 Look no further than	Best Body Bootcamp brought to you by Cassa Health, Fitness and Wellness and One Stop Fun. This four week series will help you burn fat, build muscle and give you	a sense of confidence that you never knew you had. All fitness levels	are welcome as the customized workouts will always provide you with modifications	if you need to take it down a notch, or progressions if you can handle	more. You will be in a non-intimidating environment, taking on customized	workouts to match your fitness level, challenge you and provide you with results! Workouts will change every class but will start out with a warm-up and	active stretching, then go into combinations of cardio and strength training	to help you burn fat, and strengthen muscles, followed by a cool down	period with more stretching. 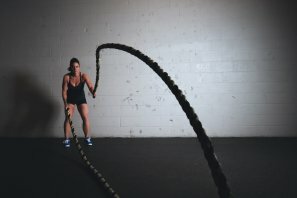 The strength training portion will focus	mostly on the total body, but some classes may emphasize lower body, upper	body, core exercises or specific muscle groups. Our initial class schedule will be	Tuesdays and Thursdays at 9:00 a.m. in our climate-controlled workout room (or, your instructor may take	the class outdoors occasionally to mix things up and enhance your workout). The first four week session will begin on July 19th . . . Get ready to	get in the best shape of your life. Childcare available for ages 4+ (if you have younger kids, give us a call). Drop-in rates are $10 for	the first child and $5 for each additional sibling. Pre-purchase childcare	for the session, and pay just $6 for the first child and $3 for siblings,	per class. As an added bonus, you and your child are welcome to spend	the rest of the morning together in our expansive, air-conditioned indoor	playground once your class is finished (you can refuel at our full-service	snackbar).